Located on the corner of Church and Macquarie St near the rotunda, we offer delicious options for breakfast and lunch with seasonal and innovative menus. With a fully stocked bar you can enjoy alfresco dining with a cold glass of wine on our hot summer nights or snuggle up under the heaters in winter. We are open every day of the week to keep Dubbo supplied with a steady stream of coffee. We offer delicious breakfast and lunch options seven days a week and we're open for dinner from Thursday through to Saturday. We are fully licensed with an extensive drinks menu, so drop in and enjoy a drink! We stock a wide selection of wines with an emphasis on local producers. Our beers, ciders and cocktails offer something for everyone. We pride ourselves on the quality of our food. We are constantly changing our menu to highlight what is in season and to celebrate the best local produce we can find. We try and cater for everyone with plenty of vegetarian, vegan, gluten free and dairy free options. Come and join us for breakfast and try dishes like our amazing Chorizo Pot with Spanish chorizo, sautéed potatoes and fried egg on top, or our famous Corn Fritters with crispy bacon and salsa. For those with a sweet tooth we also have our Nutella stuffed French toast with berry compote, maple syrup and little big dairy co cream. We have a load of interesting options for lunch including our very popular CSC Burger with thick cut chips, Grilled Vege & Hamouli Stack or Pulled Pork Salad. Our Values are Service, Prosperity, Integrity, Community and Creativity. We like to think of them as the CSC “SPICC” of life. Our aim is to provide all of our customers with amazing service by providing you with an inviting and engaging experience for many years to come. We have created a community that staff members and customers feel connected to and have a sense of belonging at CSC. We are working towards doing all of this whilst presenting creative, delicious and innovative menus that are seasonal and use as many local growers as possible. As a collective we are proud of what we present each day and we promise to continue to present high quality products and engaging experiences. Born and raised In Dubbo, Errin is an award winning chef who always dreamed of having her own cafe/restaurant. Her passion lies with fresh, modern menus that transform eating into an experience. The look and feel of CSC, complete with the tapas sharing plates that encourage social interaction, are a true reflection of Errin. 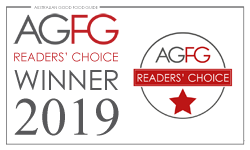 We are thrilled to announce we are an Australian Good Food & Travel Guide Readers Choice Award winner three years running, 2017, 2018 and 2019! Thanks to all our wonderful customers for the love! Errin has taken out the 2017 Young Entrepreneur category at the 2017 Western NSW Regional Business Awards and will now represent the region at the State Finals in November. The Award recognises an inspirational young person who through their own commitment and passion, has built and operates a successful business. Errin's business CSC offers Dubbo a fresh, contemporary dining experience and has also helped to create a hub of vibrancy within the CBD shopping precinct. CSC has been recognised by the Good Food Guide Australia as one of THE restaurants to watch in the Central West and is featured in the Good Food Guide 2017. “This award is recognition of our business and the hard work that we have put in. It will allow us more opportunity to grow and build on our goals.” says Errin. 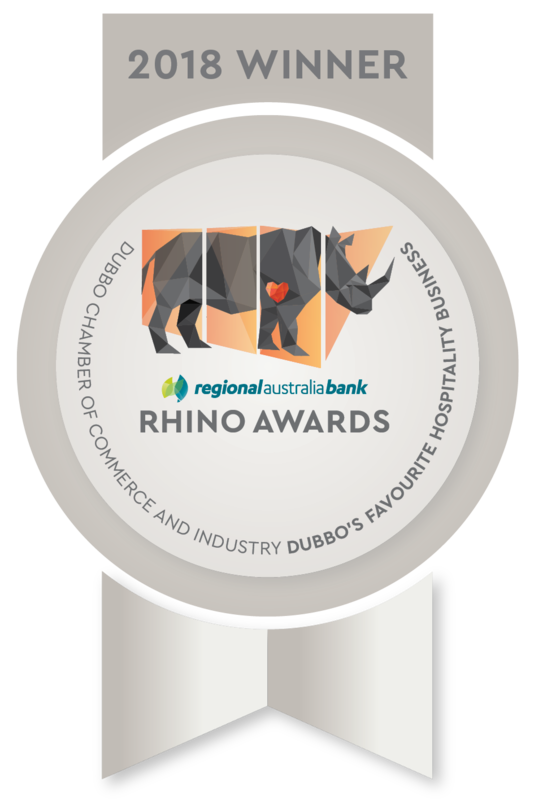 Errin also won the 2016 Dubbo Chamber of Commerce Rhino Award for Young Entrepreneur of the Year.